Every IT consultant eventually falls in love with one set of tools: be it Microsoft, Linux, ERP, CRM, whatever. This is deadly dangerous. I still believe that specialization is for insects. A good business technology expert should be a tech agnostic. 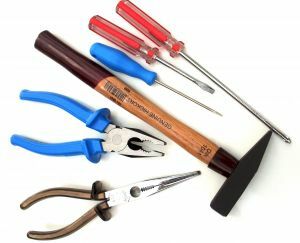 That doesn't mean that she isn't an expert with any tools; it means she finds the right tool to solve a customer's problem. She won't try to force her favorite tools to do the job. More than 70% of IT projects fail. There are a variety of reasons for this statistic, but one of the biggest (in my opinion) is the tendency of technology workers to try to force their favorite products to do a job they aren't designed to do. One Extreme Example: I remember one fellow insisting that his 1987 database software was superior to Microsoft SQL Server 2003. His entire argument was based solely on the price of the software. Readers of this blog know that price isn't the same as cost. Look, if he had argued for MySQL, I might have been more willing to listen. But 1987 might as well be the Mesozoic Era in technological terms. When a technology consultant falls in love with one set of tools, he stops being effective. As far as I am concerned, at that point, he becomes a salesman for the product. A real business technology expert is a tech agnostic who fits the tool to the job. Do you have any examples of failures caused by this kind of thinking? Thanks! Please feel free to share this article.